It’s the age-old debate: does the word ‘scone’ rhyme with ‘cone’ or ‘gone’? We’re not wading into that argument today – instead, we’re just here to serve up another tasty recipe! If you’ve only ever had your scones with clotted cream and jam, it’s high time you tried some savoury scones. This recipe is great for a light lunch with friends – it makes about 16 scones – and vegetarians can obviously leave out the bacon if they like. Step 1 - Preheat your oven to 200oC. 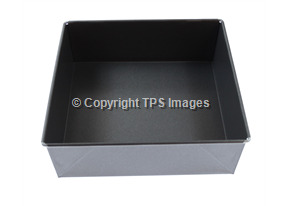 Step 2 - Grease a baking tray with butter or margarine (or just use a non-stick baking tray). 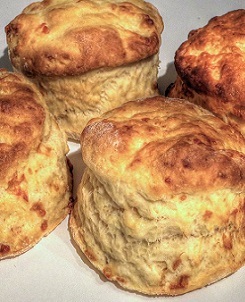 If you are cooking these scones without bacon, skip to Step 5. Step 3 - Cut the fat off your bacon and cut it into small pieces. Step 4 - Fry the bacon pieces in a pan over a moderately high heat. Once the bacon begins to turn crispy, remove it from the pan and place it onto a plate to cool down (use kitchen roll to remove any excess grease). Step 5 - Sieve your flour into a mixing bowl. Step 6 - Cut the butter into small cubes and rub these cubes into the flour. 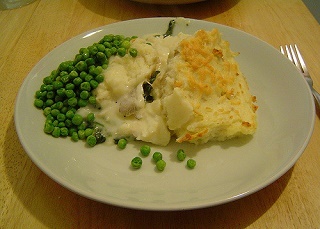 Keep going until you are left with a breadcrumb-like mixture. Step 7 - Grate your cheese into the mixing bowl. Add the bacon too, if you're using it. Mix thoroughly with a spoon or whisk. Step 8 - Add the milk to your bowl and mix until the mixture forms a soft dough that can be easily kneaded. Step 9 - Sprinkle some flour on your kitchen surface and tip the contents of your bowl onto this surface. Knead the dough with your hands until it is smooth. Step 10 - Use a cookie cutter to cut scone shapes out of the dough (as we mentioned earlier, there should be enough dough for roughly 16 scones). Place these on your baking tray and cook for 20 minutes in the pre-heated oven. The scones should be a golden-brown colour when you take them out of the oven. Cut each one in half, spread some butter on the inside, and serve 'em while they're still nice and warm! Baking is a fun and exciting family-friendly activity that all ages can enjoy, especially when the end product is so delicious. That's why we love this BBC Good Food recipe for Delicious Sweet Buns. It's a great way to get children excited about cooking and the sweet buns are simply delicious! These Delicious Sweet Buns are soft, tasty and filled with a delicious filling; the perfect after dinner treat. Step 1: In a large mixing bowl add the flour, yeast, sugar and salt. Mix for 1 minute (by hand or using an electric whisk). Add the water and half of the beaten egg mixture. Mix once again until you get a thorough consistency. Add butter and mix in until combined. Knead by hand until smooth and elastic. This should take about 10 minutes. Step 2: Cover the dough and pop it in a warm place for about 30 minutes to let it rise. After that, punch the dough down and roll out 8 balls. Allow them to rise for 10 minutes. Step 3: Take each ball and roll out with a rolling pin until you have a nice thin disk (roughly 3 inches in diameter and a 1/4 inch thick). Step 4: Place some strawberry jam and sprinkle some candied mixed fruit on the top of the disk. Wrap and cover the filling from all sides with the dough before pinching the seams to close. Next shape the dough into a ball shape. Using shark scissors snip the top surface of the dough a bit to form petals shaped like a flower (see picture). You can use the scissors to form a variety of fun shapes, all of which look great! Step 5: Place buns on a greased metal tray and allow them to rise for 20 mins. Then brush the remaining beaten egg over the top of the buns. 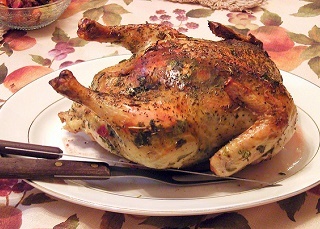 Bake at 200c for 20 minutes or until golden brown. Millionaire’s shortbread is a delicious, three-level treat: rich chocolate, creamy caramel, and a pleasantly crunchy layer of biscuit, all in one amazing package! 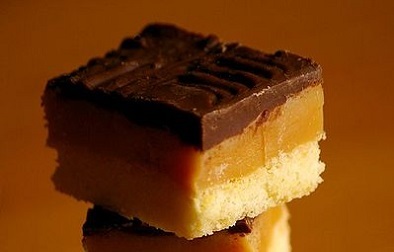 Why is it called Millionaire’s shortbread? Because the ingredients are rich, and it tastes like a million dollars! Still, it won’t taste like two cents unless you make it right, so follow our easy recipe and make sure that your shortbread is as sumptuous as it should be! Step 1 - Preheat your oven to 170oC. Step 2 - Grease a square cake tin with butter or margarine. Step 3 - Sieve the flour into a bowl, along with half (60g) of the caster sugar. Step 4 - Using your hands, rub half (120g) of the butter into the bowl until the mixture forms into dough. Step 5 - Spread this dough evenly across the base of your square cake tin. Prick the dough all over using a fork. Step 6 - Put the dough in the preheated oven for 15 minutes. It should be golden brown by the end of the cooking period. Step 7 - Once the cake tin is in the oven, it's time to make the caramel! Place your condensed milk, your golden syrup, and the remaining sugar and butter in a saucepan. Use a low flame and stir continuously. Step 8 - Is the caramel properly mixed? If so, remove it from the hob and - once your dough is out of the oven - pour it into the cake tin, covering the dough evenly. Leave to cool for half an hour. Step 9 - While the caramel cools, boil some water on the hob. Break your chocolate into small pieces and place these pieces in a glass bowl. Set the bowl over the boiling water to melt the chocolate. Step 10 - Once your caramel has cooled, pour the melted chocolate over the top to form that delicious third layer. Pop the finished product in the fridge for a while, and when it's cooled down properly, cut into squares.